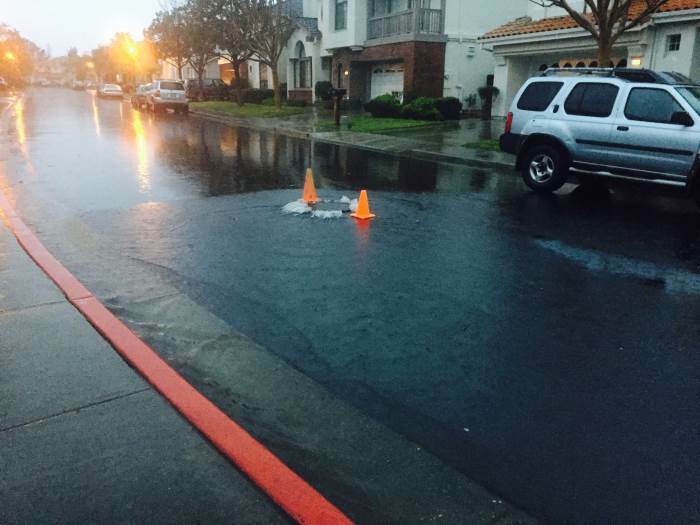 Once again the storm drain cover near 2147 PDO is being lifted by heavy rain. When possible orange cones are placed near the cover for visibility. Please drive slowly in this area and avoid tire damage. Since the cover is near the middle of the street, please park away from the vicinity to allow more room for cars to go by. We are trying to find a private contractor that will unclog this blockage. There is no schedule, at this time, as to when this cleanup will be completed.